Girls Who Make is a special weekend program for 6th-8th grade girls every Saturday from November 3rd to January 12th, from 10:30am to 1:30pm (except December 29th). In this 10-week workshop, participants will build skills in circuitry, sewing, fabrication, and storytelling. Each week, we will complete increasingly complex projects that incorporate these skills. The workshop will culminate with an original piece of interactive artwork, such as a sculpture that senses motion or a book that responds to touch. This program is for 6th through 8th grade girls and is free of charge. This program is over! If you or someone you know is interested in girls who make, sign up for our email list to always stay in the know about these kinds of programs happening at msc. See what we're up to at Girls Who Make! Girls Who Make has begun! Our first meeting was filled with nervous energy that quickly melted away to excitement as we explored the different kinds of soft circuits we’d be making over the next 10 weeks. We fried a LED egg and cooked up different ways to attach a battery, we lit up an eyeball to see the variety of LEDs we can work with, and we wore a hat that was wired to wink on command. To start, we must learn the basics. First, we focused on the basic of sewing. We stitched a bag to carry the supplies we will be using for the rest of the week, learning different kinds of stitches from each other, some which are classics and some which have never existed before. By the end of our first two session, the makers saw definite improvement in their technique. After a break, a game, and a snack, we got to play with wires and electricity to get a handle of series and parallel circuits, two things we will return to again and again. Week one and two have been great introduction into the skills we can learn and the skills we have to share. Everyone came with knowledge to share and encouragement to give, and each left with something they’ve never done before. 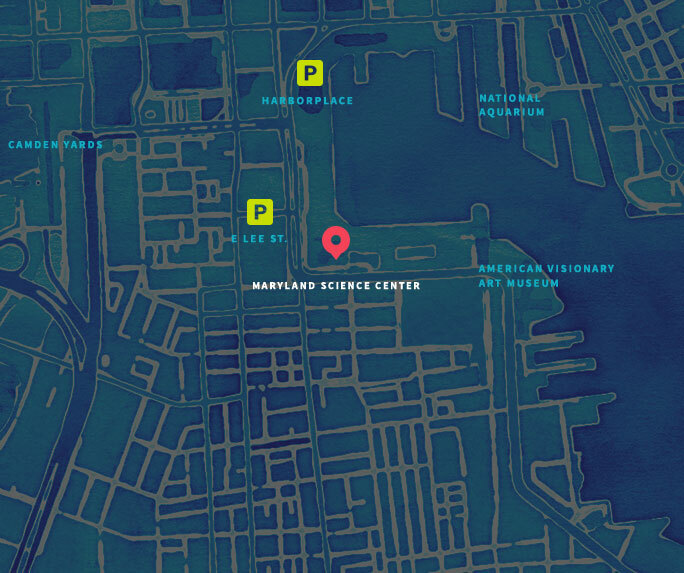 Next week, we bring it all together with our first sewn circuit! This week we made our first soft circuit! A soft circuit is basically a circuit embedded into a flexible material, but in our case it means it is sewn into fabric. Using quilting rulers, rotary cutters, and a little bit of math, we were able to cut precisely to make our base of felt for our soft circuit. All our hard work learning how to master the needle is beginning to pay off as we configure battery, LED, and conductive stainless steel thread into a functioning light up display! After persisting through cross circuits and broken threads, we were finally able to come out the other side triumphantly wielding our first functioning soft circuit! Next week, we will explore a bit about LilyPad technology and how to manipulate code to get what we want. Another set of skills that will expand what we can do for our final project! We’re writing our names in lights! This week was two-pronged. We spent the majority of our time together learning the basics of embroidery to finish up our name tags and pocket another skill for our final project. While this was happening, each maker came up for a little one-on-one time to get to know the LilyPad Arduino. Arduino technology is a microcontroller than can be programmed to sense and control objects in the physical and digital world. The LilyPad Arduino is a little different from a regular Arduino because it is flat and the wire connection ports can be sewn through, making it ideal for soft circuits. Each maker got some time to change around small pieces of the code used for blinking an LED at a certain rate. Some sped the rate up, mirroring a sense of excitement, others slowed it down to a rate as calm as the patience required to finish a long row of stitches. We’re very excited for our newest arrival of goods to play around with: light sensors, temperature sensors, and lots of LEDs in a whole spectrum of colors. We’ll let you know how it goes next week! Today, we worked on how to turn a circuit on and off without a computer programmed switch. Using a bit of a soda can and a metal bead connected to conductive thread, we created different ways to interact with an object to tell a story. One maker made a game controller that lights up when you tilt it, another created a shooting star that goes out when it’s held in the wrong orientation, another a star that shimmers when you shake it. While we worked on these projects, each maker met with a facilitator one on one to brainstorm and plan for their final project. We are so excited to show you what we come up with! With our plans complete and marked off on pieces of paper, we begin the hard work of details. Material lists, colors, circuit diagrams, all sorts of details are needed for making a piece of soft circuit artwork. Will the word “Slytherin” light up a new LED with each letter that is pressed, or will we have to cluster them in threes in order to use one battery? How can we accurately transfer and transform 4 different football teams into one logo? How big is too big? What color says Aunt Karen the most? As we began collecting materials and working on the first stages of our projects, problems arose immediately. Questions of how many LEDs can light up off of the power from one coin battery. Turns out, through some rigorous testing, it depends on the combination of colors of LEDs. Questions of head size and switch placements and wire crossing, and when it is necessary to have a band-aid. Luckily, we were able to answer almost every question. And if we couldn’t answer it, we found a way around it. Check in with us next week to see what problems we find next and to experience the amazing solutions that we put together! This week we began to see what the finished project might be like. We focused mostly on building our circuitry, leaving our final programming tweaks until the next week. Some of us have decided to stick to the analog and create all the interactivity through felt, 3D space, and conductive thread. Memories of bowling are called upon by pushing two felt buttons that mimic two of the three gripping holes in a bowling ball. The pressure from your push completes the circuit and the third gripping hole lights up. Plans are brewing for using the Lilypad and sensors at home. Others have decided to dive head first into the Lilypad technology. Many are using the temperature sensors to have a bag or bracelet that responds to their skin or to the season. Imagine a bag that can mimic your feelings about the weather with color! Well, you don’t have to imagine anymore, we have a maker who has invented just that. We can’t wait to show our final projects off! It can be difficult to decide when you are done, and it can be amazing what you can do when you have a deadline. These final weeks are about focusing in on our final project and choosing what can get done in the time we have left. When dealing with a deadline, prioritizing is of the utmost importance, but it can be really hard to choose when is most essential to the communication of your idea. Should I perfect the shape of my football or sew it up so I can finish hooking up my Arduino? Will I have time to finish sewing the conductive thread for all my interactive doodles, or is it better to stop embroidering the doodle designs now so that I have less but it is completely done? These were the questions we are asking ourselves as we prepare for our final show. We have made it. Thousands of stitches later. 100s of crossed wires later. Several short circuits later. And many hard-earned successes later. The first half of today was a mad dash to finish up the last little bits of our final projects and getting some of our more ambitious projects into shape for taking home and finishing up there. The second half was all about celebrating our time together, how far we’ve come and eating good food. 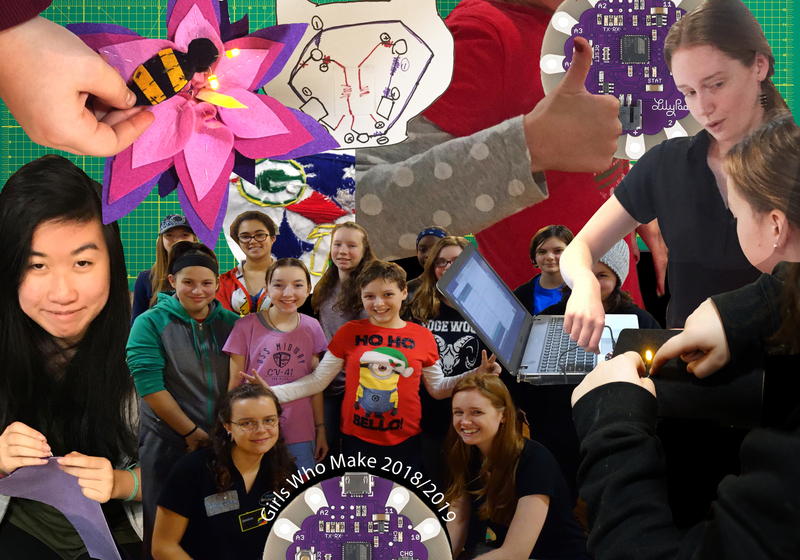 Overall, we believe that each girl took home more than a Lilypad Arduino kit, sewable LEDs, 2 different types of batteries, and a lot of conductive thread. We believe that all of us took home the knowledge and skills to be able to search for the answer to our questions and to try out multiple solutions to find the one that works. We found code online and changed and/or combined it for our needs, tackling how to find useful resources and fine-tuned our ability to see those resources in different context than was originally intended. We built up our fabrication skills in order to turn plans into final products, learning a variety of techniques that have both utilitarian and aesthetic purposes, useful to get the job done and to express your inner world. We sewed several iterations of a parallel circuit, eventually adding in mini felt “bridges”, using fabric to solve an electrical issue. Bringing together “fabric” arts, electrical engineering, and programming is an excellent way to experience how interdisciplinary approaches can offer bigger solutions, that disciplines do not need to fit into boxes and that if you choose a soft art you not giving up everything else, and vice versa. We hope everyone will continue making and tinkering with materials, skills, and tools they developed in the Girls Who Make workshop series. And, of course, we want to give a huge thank you to Cognizant’s Making the Future Grant that made this all possible.